Lamina 25-120 x 40-100 mm, elliptic or trullate in outline, trifoliolate, pinnate to irregularly bipinnatisect. Juvenile leaves spathulate and simple. Pinnae 20-60 mm long, 3-12 mm wide. Margins entire, adaxially glabrous, abaxially hirsute with long stiff adpressed hairs. Petiole 1-11 cm, erect. 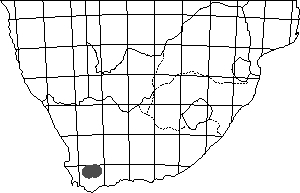 Stipules subulate, adnate to petioles for 1/3-2/3 of their length. Scape 7-20 cm, branched, with 3-6 pseudo umbels, each with 7-14 flowers. Peduncle 3-8 cm, covered with very long soft hairs interspersed with short glandular hairs, pedicel ~0.5 mm. 5, lanceolate, patent. Hypanthium 8-11 mm. 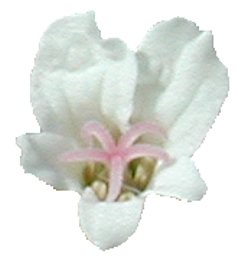 Petals white, apices recurved during anthesis, posterior spathulate, rounded or emarginate, 7-12 x 2.5-4 mm, anterior spathulate and slightly smaller. 5 fertile, concealed in the floral sheath. 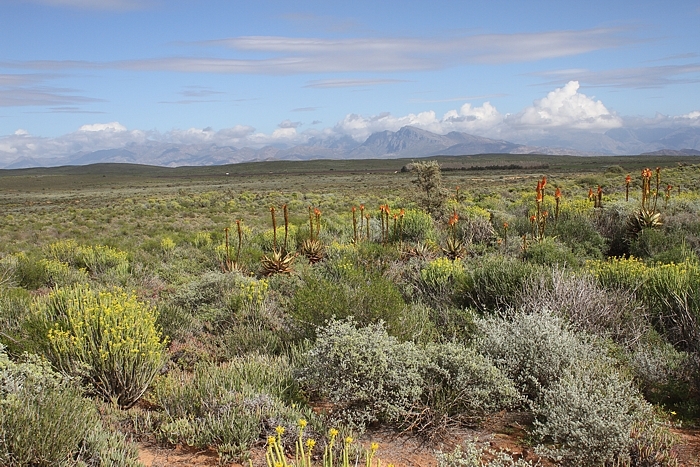 The beautiful landscape 10 km E of Worcester along R60, W Cape Province in early spring. 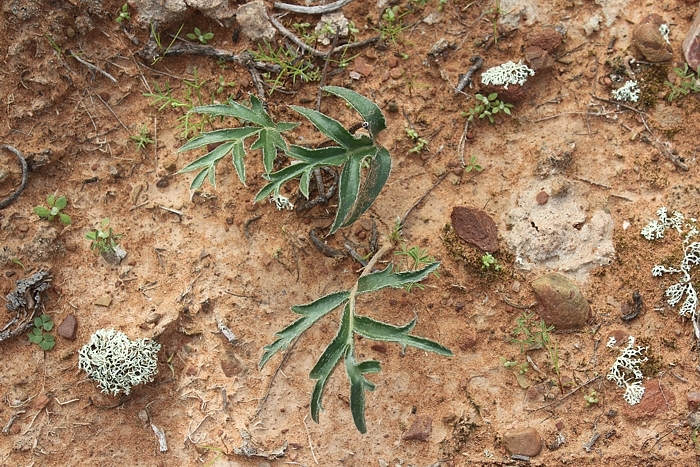 P. violiflorum enjoys the shade of karoo shrubs in the company of P. luteolum, both locally abundant. 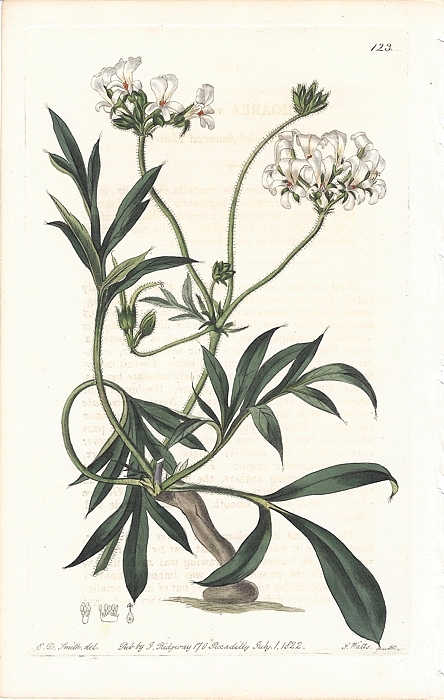 R. Sweet, Geraniaceae: The Natural Order of Gerania, 1822, Tab. 123 (as Hoarea violaeflora). Another illustration of this species is discussed on the History page. 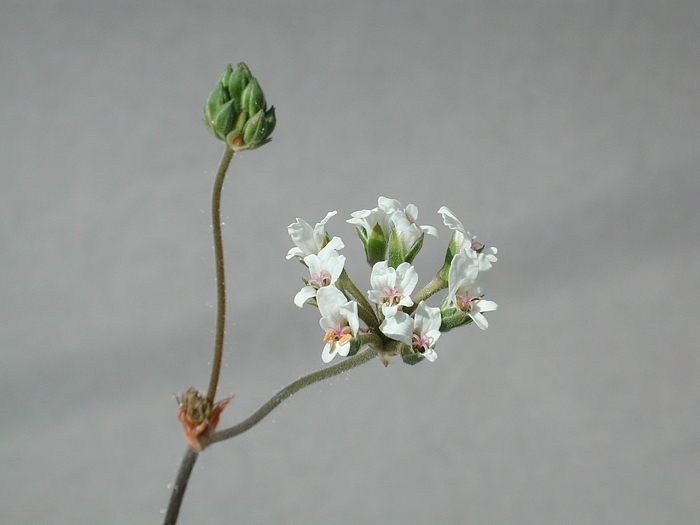 variifolium (Eckl. & Zeyh.) Steud.